A few months after winning her Whitley Award, we caught up with Ximena to hear what she’s been up to. In May – A local Tarja produced a limited edition wine to support Ximena’s NGO – Prometa. They named it Tremartos from the Latin name for the Andean Bear. Also in September, the house of MPs approve a law to declare the Andean bear a national treasure. 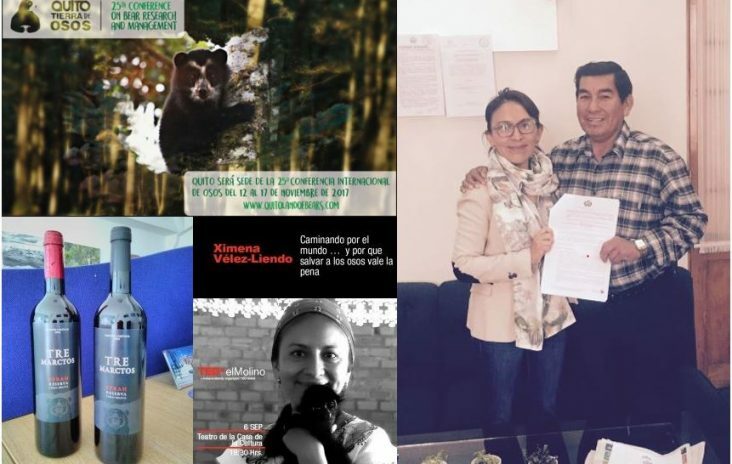 Ximena’s law will formerly be called Ajayu’s law – ‘Ajayu’ meaning ‘Spirit’ in Quechua, in honour of an Andean bear which was brutally beaten by people last year. 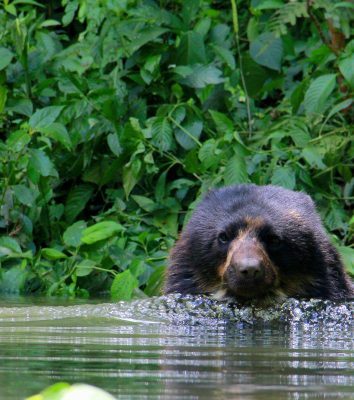 This law will declare the bear part of Bolivia’s National Natural Heritage. In November – a Bolivian Bear and Jaguar Action Plan meeting held to develop priority conservation actions for this species. Also in November, Ximena chaired a session on Andean Bear conservation and research at the International Bear Association Symposium in Quito.